Here's a monochromatic look I wore a couple weeks ago and I almost forgot to post it, but here it is I hope you guys like this blush pink number. Hope everyone enjoyed their weekend. For us, it was a busy one, we had two birthday parties, Mateo's cousins volleyball and soccer games to attend. It's exciting to see how much Mateo enjoys being around others, this makes it easy for us to be out in public. 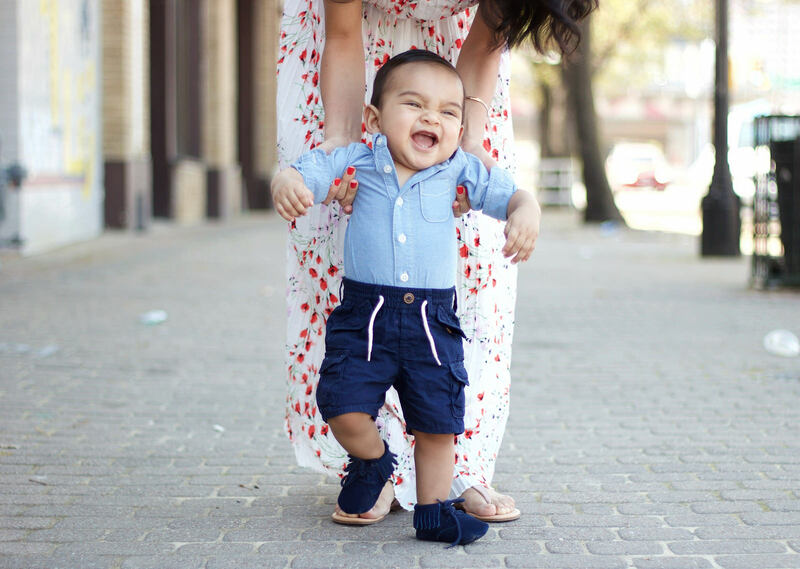 Before heading to Joseph's 1st birthday on Sunday we couldn't resist stopping by Deep Ellum to take a stroll and enjoy the beautiful weather. Have a blessed week everyone! Thanks for stoping by. Thank you so much for stoping by, and whatever you all are doing this weekend, I hope you have a good one. I wanted to introduce this light pink shade into my neutral casual look for a sunday day out with my family. I personally love this color combination and I hope you guys did too!!! 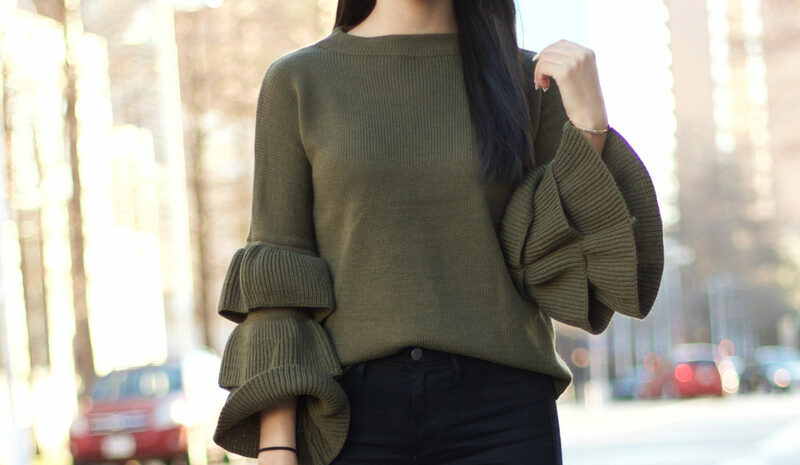 I'm so in love with this ruffle sleeve sweater, I wore it all weekend (I just ordered the light pink too ;) this time I kept it casual with these black skinny jeans that I found at H&M and black pointy heels. 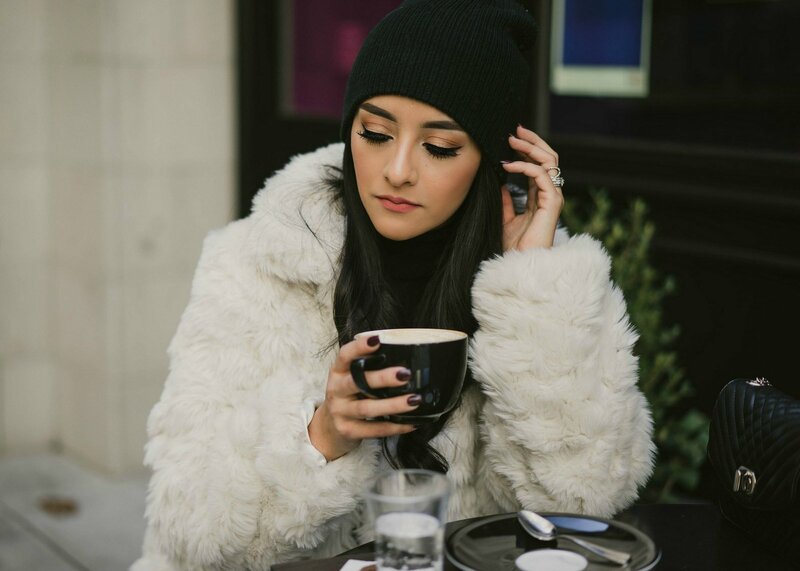 Hope you guys like this simple look and see you on my next post. Thanks for stopping by, Wish you all an amazing week.